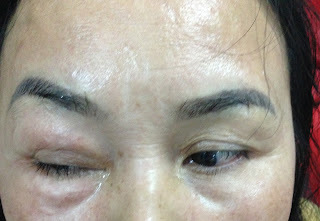 50 yo woman, after trauma at her right face, she cannot see by ptosis of right upper eyebrow (photo). 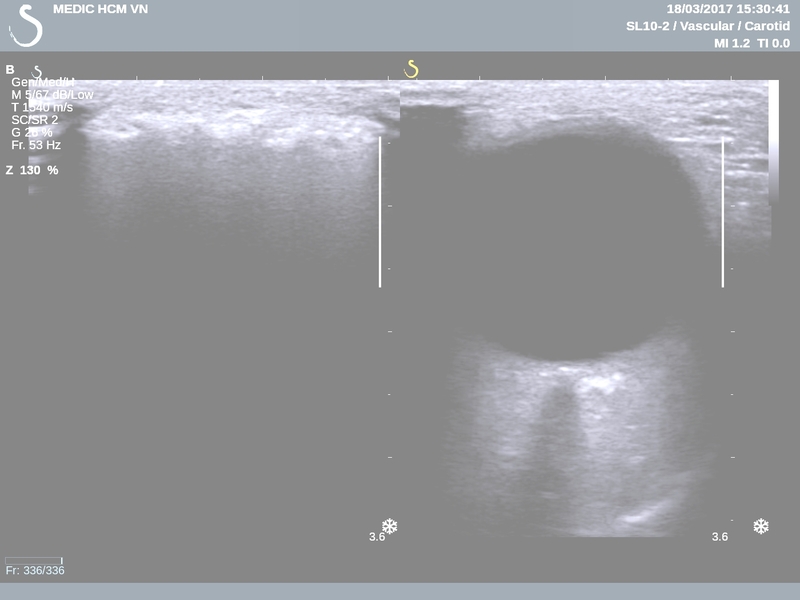 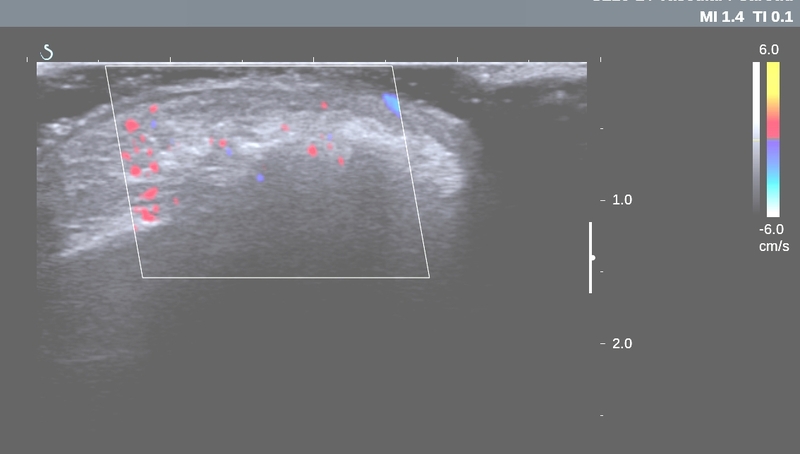 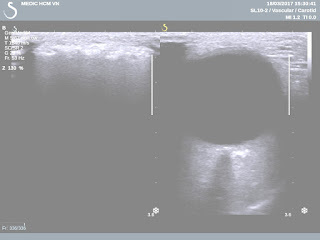 Ultrasound scanning of the orbit and right eye are normal but cannot see the orbit when the probe is put on the upper eyebrow, because there is air into right upper eyebrow while the show-down does not appear on left eye ( US 1, US 2). 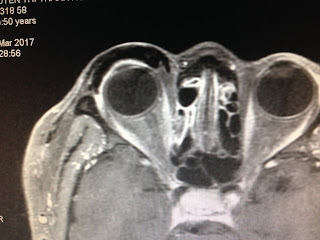 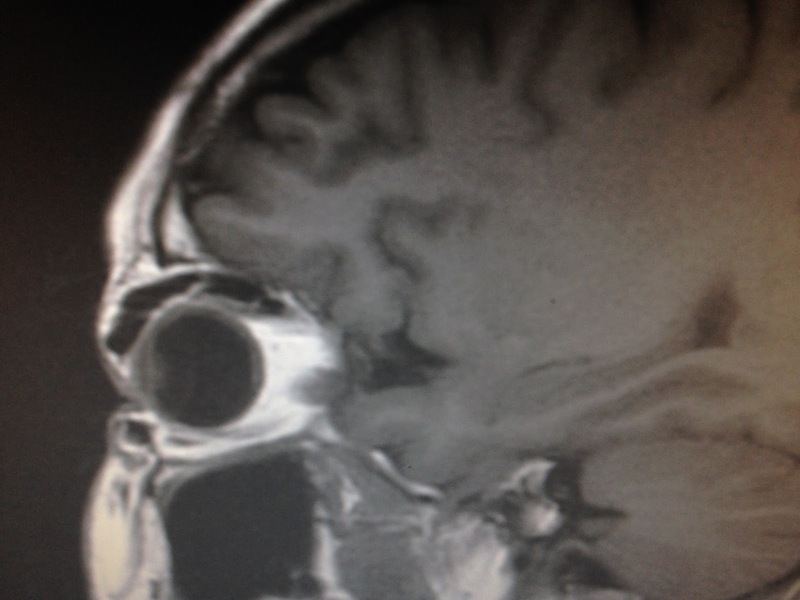 MRI of the orbit confirmed the normal right eye but one black ellipse covered the right eye extend to skin of temporal area. 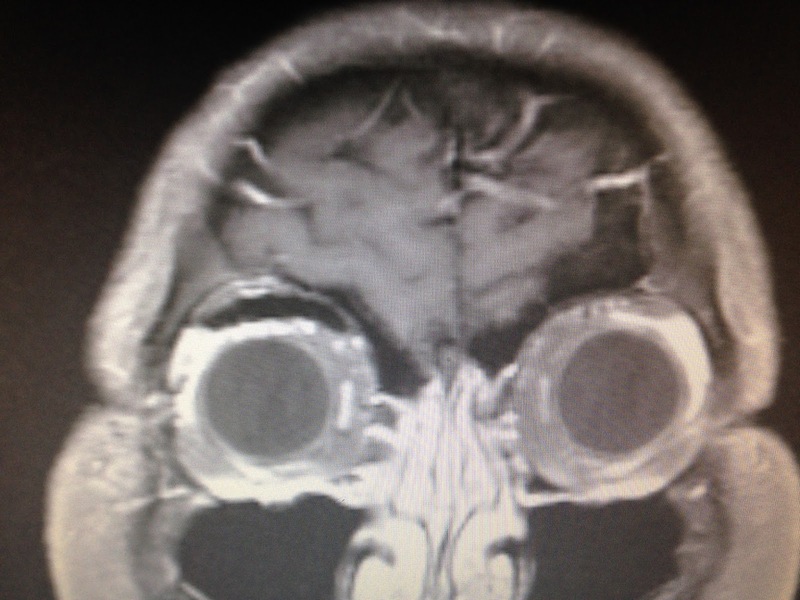 It is air under eyebrow skin ( MRI 1, MRI 2, MRI 3 MRI 4). 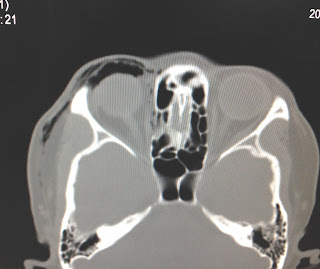 CT scan of the right orbit detected fracture of orbit bone and black eyebrow sign appeared again due to air emphysema in right upper eyebrow. 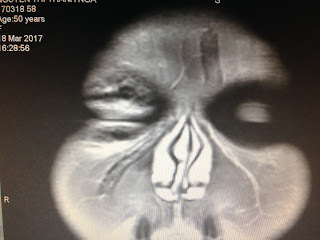 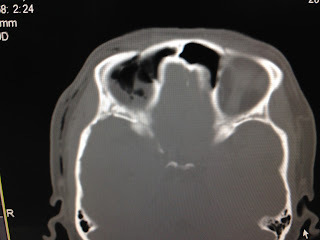 Conclusion: Ultrasound, MRI, CT can detected black eyebrow sign due to orbital blow-out fracture.